We value the role that our volunteer coaches play for the club. If you are a coach and have any particular questions or need some guidance, please feel free to contact our Coach Co-ordinator, StJohn Leggett on 0408 881 508 or get in touch via email at singetan@yahoo.com. For a detailed outline of your role as coach, please see here. Further information is also available for coaches of the junior teams on the Little League website, we recommend this article. To download a Blue Card application form, please see here. Following are some links that will be useful in planning coaching sessions. GBL By Laws (2018/19) From Little League to Seniors contains all of the rules being followed for the GBL competition. For a snap shot of the rule changes made for the 2018/19 season see here. Pine River's Rapids will advise all interested members of the available coaching accreditation workshops held before the season starts, and throughout the season as required. 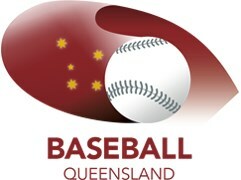 For information on becoming an accredited Baseball Coach, please have a look at the Qld Baseball Coach's Association website.